As a real estate agent, you likely have an office in your home or a brick and mortar, but your car more than likely serves as your mobile office on many occasions. Since that is the case, your car needs to be setup and equipped with the tools you will need most often. There are many things you can take with you that will allow you to work easily and provide comfort for you and your clients. Here are 5 things you should have in your car or keep readily available in your home and office to stock your car quickly for last minute appointments. Bottled water. You and your clients will appreciate this after a few showings on a warm day. Keep a small cooler that you can fill with ice and add the water too when you need it. Laptop or tablet that you can take with you to write offers or prepare other paperwork wherever you might wind up. You never know when your client will find the house they have been looking for. Depending on where you were, you may not want to drive back to your office to write an offer. Find the closest coffee shop or another place with WIFI and you can have their offer written, signed and delivered to the listing agent in no time. This doesn’t have to be a device just for your car. You probably keep this with you most of the time so just always have it handy and charged so it is ready when you need it. Extra charger for your cell phone. Sure, you can charge in your car but keep a traditional cable with you so you can charge if you wind up somewhere unexpectedly. You and your clients will appreciate a quick snack after a long day of showings. Nothing fancy or that can’t withstand extreme temperatures but fruit, granola bars or goldfish if you have kids with you will all be well appreciated. Business cards. You will regularly meet clients and want to give them a business card but you also will meet people unexpectedly and want to give them a card. Business cards are probably the most inexpensive form of marketing you will ever encounter. There is no way to know which business card will provide the greatest return on your investment so hand them out freely so people will call you when they need help with real estate. You will also want to have a mobile file box set up so you can keep important documents in your car. 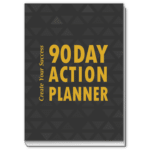 This is a system that I have recommended for years to my clients and they find it to be successful and it keeps them so organized. If you would like to put together a mobile office I have put some links to the tools you will need to make it easy for you to put this together. Portable File Box – This is where you will keep all your agreements, buyer representation agreements, addendums, contracts, MLS Forms (Blank), HOA forms and any other forms you feel would help you have everything you need at your finger-tips. Yes, you can probably get these online and complete them online, but to have these in paper form will always give you peace of mind if you are not able to access the program. I also recommend you gather pamphlets from your chamber to give to your client so they can see what other businesses are in the area, school information, day cares, etc. Hanging File Folders – you will want to create a folder for each type form or document. Then create a tab and name the folder something you can associate with the contents. EXAMPLE: Listing Agreements, Buyer Representation Agreements, etc., your letters and postcards for when you come across a FSBO or to drop off to an Expired Listing. You might also want to add a pen case and keep your favorite pens in the case so you have them if needed. Pen Case: This one also has a compartment to hold miscellaneous items, like a phone charger. Pens: These are my favorite pens! They don’t smear, skip and write with ease. I can never have to many pens. Highlighters: Everyone should keep a highlighter close by. Create your FSBO packages in these white envelopes and have them ready to drop off when you come across one or if you happen to meet someone while out and about. Shipping Labels: You will want to order these now and then print your logos and information on them so you can adhere to the envelope then you can hand address to the homeowner if they are not home and you want to leave it at their door. I always recommend you keep some stamps in the file organizer as well. Pick those up at your local post office or grocery store. By creating a mobile office for yourself will help you save time and money while you are on the road, but always have a client box so when you are out with clients you can treat them with those few extra touches like, bottled water, snacks, gum or mints, a notebook so they can take notes, something for the kids to do while in the car. Also having a first aid kit it nice to have for those little medical emergencies. If you don’t have a car emergency kit I highly recommend you get one so you are not stranded on the side of the road. And, if you are part of a team, own a brokerage, etc what a great gift to give so everyone is organized and more efficient with their day and business. Remember to always let someone know where you are and who you are with while out with clients. Have them meet you at your office, if possible and make a copy of their driver license and give to your broker, team, spouse, etc and never go blindly on an appointment. Let me know if you have any questions on how to set up your mobile office and share any tips you have on this area of your business. Are you ready to get serious about working the Expired’s in your market? Are you ready to start building your inventory and put more money in the bank? I bet you are! I have been asked many of times to do a webinar for agents who struggle with the Expired Listing process, so coming soon I will be hosting a Workshop to take you through my Expired Listing System that has been a huge success for many top agents. If you would like to be the first notified just click on the link below and you will automatically go into my private list to receive the first announcement. This blog is not sponsored. Some links shared in this blog may be affiliate links which mean if you use those links I may get compensation from the companies (at no cost to you). Thanks for your support.